News from LMCU: Annual Night with the Griffins game tickets on sale Dec. 3! Annual Night with the Griffins game tickets on sale Dec. 3! 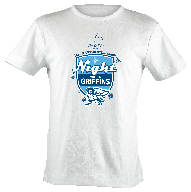 Tickets to the 10th annual LMCU Night with the Griffins make great gifts for the puck-hounds on your list! Ticket price includes a FREE $3 food voucher and a FREE LMCU/Griffins t-shirt! Tickets go on sale December 3 and are available at all branches. For more information, visit LMCU.org or stop by any branch location.